The traditional system of buying a property through real estate searching and working with them aren’t the only ways. A real estate owner who is experienced also acquire properties through auction sales. But it isn’t that auction is only limited to experienced professionals, a novice can also participate in auctions and make a purchase. In this article, the basics of residential property auctions are explained, so that you will be able to decide whether this option is going to work for you. What Type of Properties Goes for Auction? Two types of properties go for auction, one is foreclosure, and the other is tax lien auctions. Several things have to happen for the property to reach in this stage. When a homeowner wouldn’t pay the mortgage for several months, the bank will file a notice of default to them with the county recorder. After that, if still there’s no response from the homeowner to renegotiate the mortgage or do not pay the balance to the lender, the bank or the lender then can put the property for auction. The timeline from the homeowner not paying the mortgage and property going for an auction can be around a few months to years. Another reason why a property goes for auction is that when the homeowner doesn’t pay property taxes or that they become severely delinquent overpaying income taxes to the state or local authorities. What is the way property auctions work? Auctions will be done on the locations chosen by auction companies, might be in a conference room of a hotel. These days properties are also auctioned through online and phones. Bank-hired trustees hold the foreclosure auctions, and local sheriffs conduct the tax lien auctions. There are two ways an auction takes place. One is lender confirmation auctions, and the other is absolute auctions. In lender confirmation auctions it isn’t necessary that the property will be sold to the one who bids the highest, rather it will be lender’s choice to whom the property will be sold. In absolute auctions, it is the highest bid that is going to be the owner of the property. The lowest bid or the starting bid is either determined by the balance owed on the mortgage, or it might be such that to spur the bidding a lower amount is designed. The lender cannot make any profit in a foreclosure auction. 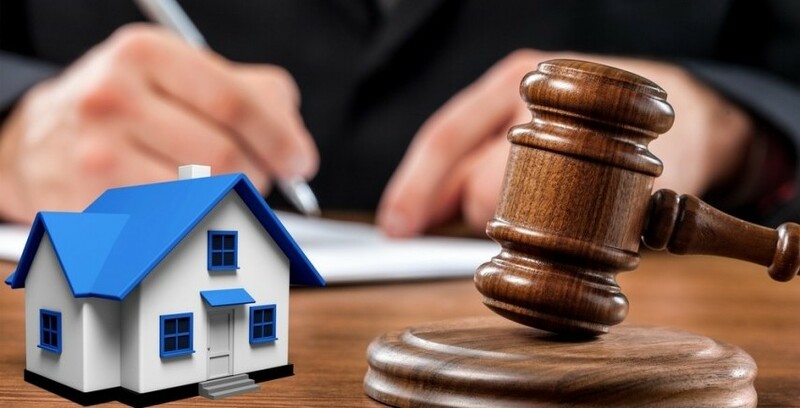 Often those auctions are done at a loss, but anyway, if even any profit is made through bidding, they will be given back to the foreclosed homeowner after clearing the mortgage and paying any other liens. In some auction companies, there are open houses. A potential bidder will be able to walk and take a look at the property before the auction. There will be lists of properties that are going to be auctioned. In other cases, only one can drive by and watch the property from the outside. If you are interested in luxury property auctions, you can find a lot of real estate auction websites online. It might be a Rocky Mountain ski home or a large villa in Spain. Real estate makes auctions of high-end homes and is a very popular method of selling them. You might be thinking, why to end up paying so high for buying a luxury property. When you go for an auction in a high-end home auction, you should be confident that the owner is committed to selling the property and the price you will bid will be just one step above the last highest bidder, and you have not to pay anything if you don’t win the bid. Seller is committed: When you visit the auction place, you will find that the seller is committed to selling the property on the day of the auction. There’s no risk of overpaying: In traditional sales of real estates, people end up paying much more, as no one knows what’s the real price is. But in the auction, the value will be established on the visible market. The one who wins the bid knows the price he or she is paying is fair per the market value. Service: Reputed real estate auction companies, such as RDG Property, will be closely working with you leading up to the sale, you will be provided with information that you will need to evaluate the property. Help in Auction Day: There will staff and other professionals from the company to assist you while you are bidding and will help you throughout the process of bidding and buying.